SYLVAN BEACH -- It was after sunset and getting darker on a moonless mid-August night when 911 got a cell phone call from two boaters stranded on Oneida Lake. They had run out of gas, and weren't sure where they were. Then the cell phone died. 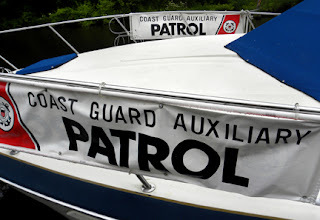 The 911 dispatcher contacted Coast Guard Station Oswego watchstanders, who dispatched a search-and-rescue crew from Flotilla 26 in Sylvan Beach. Coxswain and Communications Officer Dave Troutman was underway on his patrol boat by 10:14 p.m. with a crew that included Flotilla 26 Commander Bill Cummings and his wife, Central New York Division 2 Commander Helen Lou Cummings. "We didn't have much to go on," Troutman said. "The Coast Guard figured the boaters were somewhere within an eight square-mile area, so we headed out to start a search pattern." To make matters worse, it turned out that the boaters didn't have the required flash light or flares aboard, nor running lights. Eventually the crew spotted an occasional flash of light in the distance, and steered toward it. It was the stranded boaters, who were spraying a can of carborator cleaner into a lighter to create a flash of flame. Effective, but dangerous. "That stuff is fairly volatile," said Troutman. As the patrol boat drew near, the crew determined the two men were safe and unharmed, but discovered another problem. The men only had one life jacket between them. So the crew tossed them another life jacket, instructed the men to put them on, secured a tow line, and told the men to sit back and enjoy the ride to Sylvan Beach. "This was an example of what not to do when boating," noted Bill Cummings. "Not enough life jackets, no registration, no flares, no flashlight, and no running lights on the boat for nighttime operation." 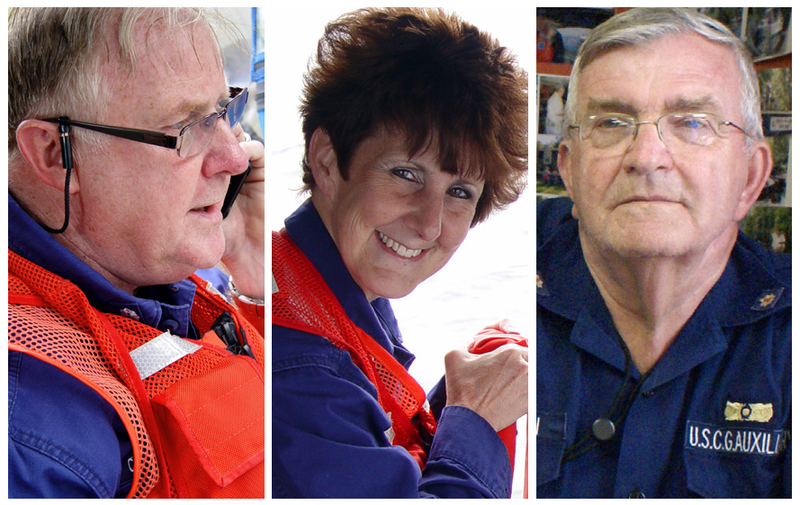 In 2011, added Helen Cummings, the Coast Guard tracked 758 water-related fatalities across the U.S., and 619 of them were not wearing life jackets.